Performers from La Fundación de las Culturas Oaxaqueñas in Oaxaca, Mexico, perform at the McAllen Convention Center on Friday, Oct. 12, during a City of McAllen press conference unveiling MXLAN, a 5-day citywide cultural festival taking place July 2018. McALLEN — The city unveiled plans Friday for MXLAN, a five-day “cultural destination event” planned in late July 2019. Before city officials had the chance to release details at a press conference at the McAllen Convention Center, dozens of Oaxacan performers marched into the room and began dancing and singing. Young performers of indigenous backgrounds wore traditional Mexican garments typically seen in the many folkloric dance groups in the Rio Grande Valley, along with some lesser-known performances. At one point, one performer dressed as a wolf and took the stage after a dozen female performers carrying pineapples on their heads walked off. At the end, performers with baskets on their heads tossed food at the audience. 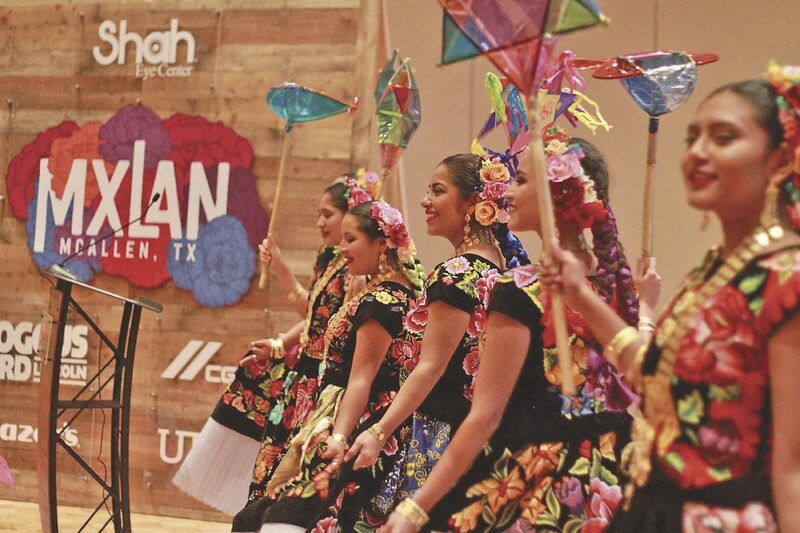 McAllen city officials call MXLAN a city-wide festival “celebrating the past, present and future of Mexican culture,” in which 2019’s honored guests are Oaxaca’s legendary La Guelaguetza performers. It will be the first time the 150-member dance group performs in the U.S.
Guelaguetza is an indigenous cultural event that takes place in mid-July in Oaxaca. MXLAN will pay homage to the traditional holiday, bringing many of the same activities to McAllen. Adan Garcia, director of advertising for MXLAN, called the event an “interactive arts and music festival for a new generation,” adding that it appropriately characterizes the bicultural identity of the region. “McAllen, like Texas, is a crossroads of people and traditions,” he said. Noel Sanchez, president of La Fundación de las Culturas Oaxaqueñas, brought the performers to McAllen. He said the event, which is considered the first of its kind, will hopefully help change the way people see Mexicans, especially those of indigenous origin. Though Oaxaca is the poorest state in Mexico, what they lack in wealth they make up for in rich culture, Sanchez said. If you were to eat a different traditional meal in Oaxaca every day for a year, you’d still be missing some, he added. 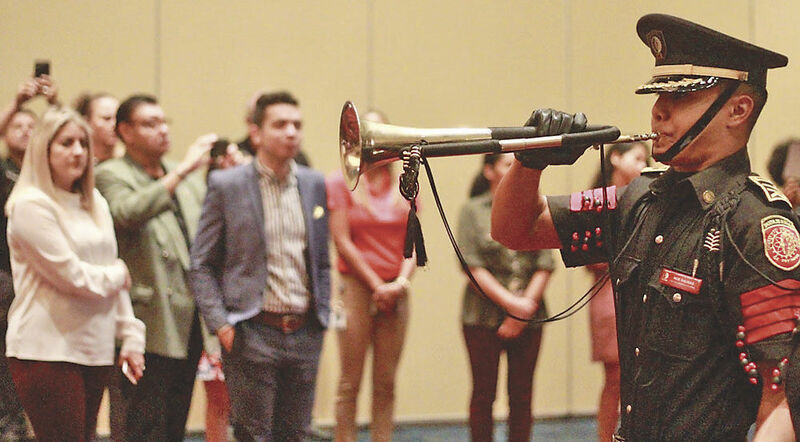 There are 127 indigenous dialects spoken in Oaxaca, and Sanchez shared a word that he said encompasses his organization’s newfound relationship with the city of McAllen: Guelaguetza. For more information on MXLAN, including a full schedule, visit mxlan.com.